"San Marino leaked five away to Cyprus and that result took their tally to 21 goals conceded and none scored in their last seven outings"
The Tartan Army are no strangers to misery, but they sat through, arguably, the worst result in the national team's history - and that takes some doing - when losing 3-0 to a rampant Kazakhstan on Thursday. It was a disaster for Scotland and one that'll take supporters quite some time to get over. The under-fire players and coaching staff don't have that luxury, they must dust themselves down in time for Sunday's trip to Serravalle where they'll face a San Marino side who might just fancy heaping misery on their opponents. Traders have Scotland priced as favourites, but when has that ever made a difference? San Marino were hammered by Cyprus on match day one, falling to the away defeat that was expected of them. The minnows of world football - ranked 211 by FIFA - go in with the kind of form most would expect from them, losing each of their last seven, not scoring too many goals in the process. Led by Italian Franco Varrella, San Marino were recently beaten 5-0 by Belarus, 3-0 by Luxembourg and 2-0 by Moldova. They showed little improvement when ending on the wrong side of a 5-0 result away to Cyprus on Thursday, a match that saw them gift their opponents two penalties inside 23 minutes. What's left of the Scotland support will hope San Marino remain in a generous mood for this one. The Cypriots were 4-0 to the good by half-time, La Serenissima seemingly falling apart under any kind of pressure. Scotland supporters, both those in attendance and following the live TV coverage, watched through the cracks in their fingers as supposed no-hopers Kazakhstan blasted their way to a 2-0 lead inside 10 minutes. Pertsukh broke the deadlock on six minutes, Vorogovskiy doubling up. Those camped in the away end couldn't believe their eyes as the locals lapped up a sensational performance, made all the easier by some comical defending from Scotland. Alex McLeish struggled to hide his embarrassment when addressing the media at full-time and although he refused to be drawn on his own future, he admitted the result put more pressure on his position. The gaffer picked out a poor defensive showing as the reason for the loss but was also surprised by the lack of fight from his players when behind in the match. The defending was amateurish at times, that much was correct, but the attack didn't fare any better, ending the match with just two shots on target. 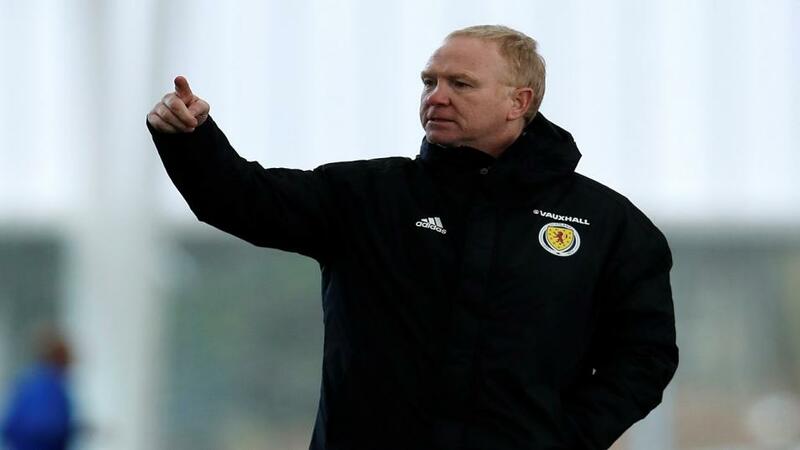 It will take time for Scotland to get over the Kazakhstan defeat and many on social media were adamant McLeish should walk and take most of his team with him. They are fortunate, however, to have San Marino next as, let's be honest, it could've been far worse with Belgium and Russia in the group. This tie gives Scotland the chance to get back to winning ways at the earliest opportunity, or at least it should. Backers will find the away win available at [1.05] on the Betfair Exchange and, even after the midweek loss, that's understandable. It's too tight to attract much attention, but it'll see more bets than San Marino at a staggering  or the draw, which can be backed at . That'll push most into the specials markets as they search for a bet that'll make this fixture more bearable. San Marino leaked five away to Cyprus and that result took their tally to 21 goals conceded and none scored in their last seven outings. Back over 3.5 goals in your Sunday football accumulators at 4/7, market top price on the Betfair Sportsbook. Under 3.5 trades at 5/4 but that's difficult to get too excited about. This should be a case of how many Scotland win by and how they can improve. A victory here, no matter how convincing, will do nothing to paper over the cracks of Kazakhstan but we've got to look at this as a single match. Follow the trends and back Scotland to win to nil at 4/9 or take advantage of the eye-catching 11/10 that exists on the visitors -3 on the handicap. James Forrest to score first should give you an interest at 11/2, all three prices taken from the Sportsbook.